2. 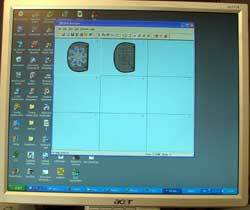 Select the required colors, using the description in our color chart that came with embroidery file (it has the same name as embroidery file + "info" extention.) 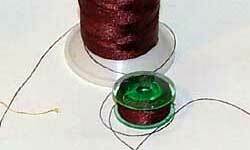 We strongly recommend to use the same bobbin color as your thread for first (background) and last (frame) colors. 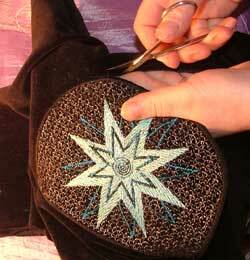 In this example we used silver thread as background color and blue metallik instead of grey color. We tried these designs on velvet, satin and organza. All of them are perfect for this project. return the hoop back into the machine. 5. 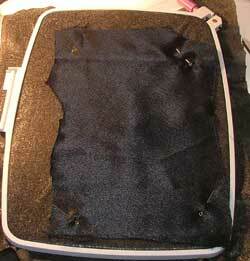 Pins should be outside of embroidery..
6. 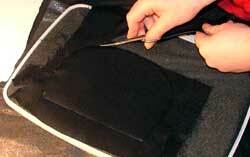 After the next stop take the hoop off and carefullly cut your back fabric edges like applique - as close to the seam as you can. 7. Don't forget to change bobbin before the final color. 8. 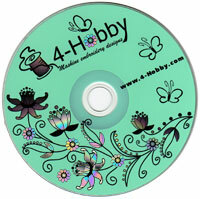 Embroder 2 final colors (frame and small circles - you'll see how we'll use them later. There is a stop before the circles - if you don't want to make them, skip this color). 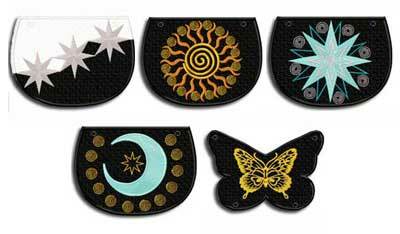 Remove the finished embroidery from the machine, take it out of the hoop, remove jumps and carefuly cut neatly along the edge of the motif. 10. Repeat steps 1-9. 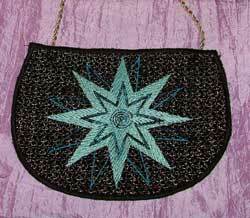 You can stitch the same design, or any other design (all our similar bags always compatible) or design named "back" - you received it in the set, it is plain back side without any pattern. If you make a gift, you could add to it initials, name or your personal greeting. 11. 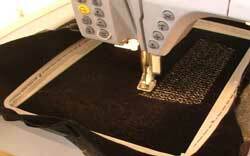 Press the two embroideries together, back to back, and "sew" them together. 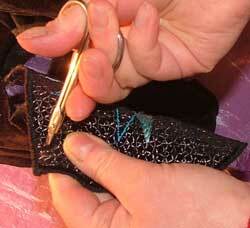 Use a chain or ribbon to make straps: put it through holes made in step 9. You can add beads or tassels for decoration.